The Monterey County Fair & Event Center (MCFEC) is a twenty-two acre, state-owned venue located in the heart of Monterey, California. MCFEC boasts two outdoor performance stages, sprawling lawns, concessions kitchens, barns, seven rentable halls, a full service RV Park and an on-site Off Track Betting facility called Monterey Bay Race Place. 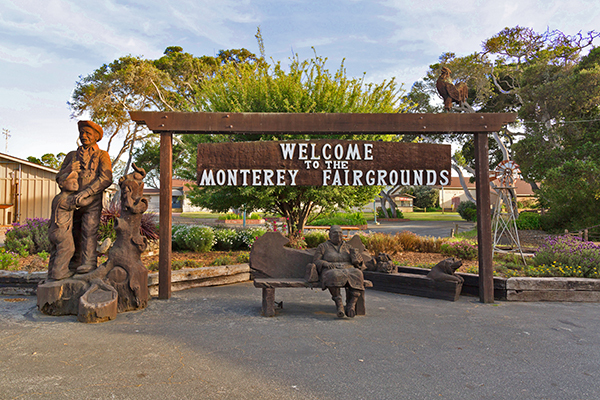 Built in 1936, the Monterey County Fair & Event Center has been home to many amazing events including the annual Monterey County Fair, the world renowned Monterey Jazz Festival and the 1967 Monterey International Pop Music Festival to name a few. Today the staff at MCFEC continues to work with the best promoters around and offer a full calendar of events each year. Our venue is located at 2004 Fairground Road in Monterey, California and is easily accessible off of either HWY 1 or HWY 68. See Directions & Visitor Info for more details. MCFEC neighbors the North Fremont Business District which offers motels, restaurants and shops. We are also just blocks from the Monterey Bike Trail and only a 10 minute drive to downtown Monterey, Cannery Row, Pacific Grove, Pebble Beach and Carmel. Whether you are visiting the area and looking for something to do, a place to stay or a venue for an event or party, look no further than the Monterey County Fair & Event Center. The arenas have hosted some of the finest musicians in history: Duke Ellington, Billy Dean, Carlos Santana, Dave Brubeck, Sarah Vaughn, Bob Dylan and Jimi Hendrix. 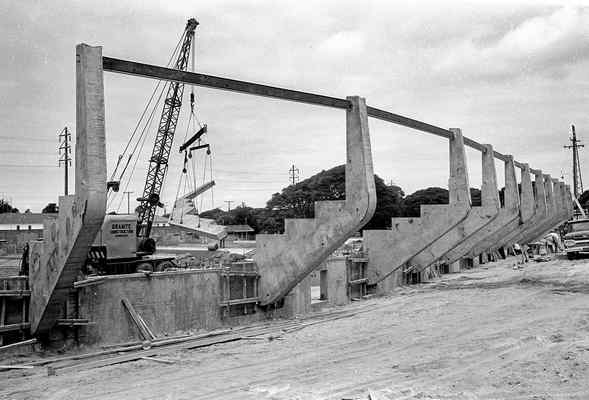 The Pattee Arena is under construction at the Monterey County Fairgrounds in Monterey.